Why it matters: Q2VKPT was designed as a proof-of-concept that gives enthusiasts a peek at what the future of graphics in games might look like. It's probably not going to be enough to convince everyone to run out and buy a new graphics card but it does look promising. Mods are a great excuse to revisit old games but more often than not, the desire to replay a timeless classic has more to do with the fact that it was a great game to begin with rather than wanting to experience some newfangled technology. With Q2VKPT, you get the best of both worlds. Created by Christoph Schied, a Ph.D. student at the Karlsruhe Institute of Technology in Germany, Q2VKPT is a rebuild of the original Quake II consisting of 12,000 lines of code that completely replace the game’s graphics code. 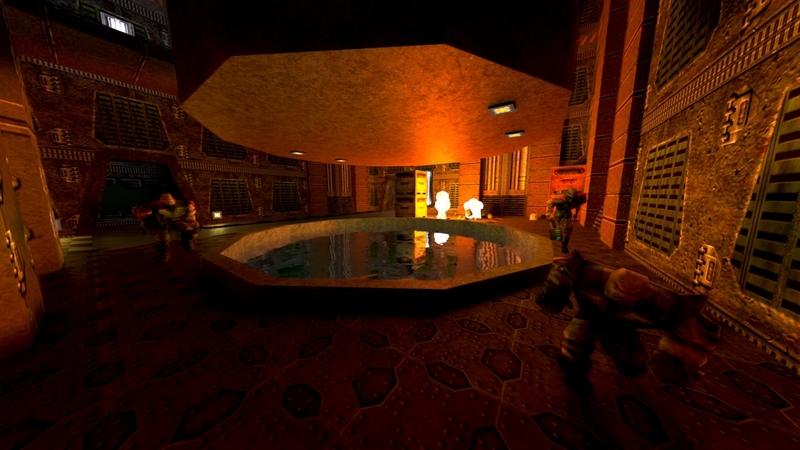 Schied describes it as the first playable game that is entirely ray traced to simulate fully dynamic lighting in real-time. Using an Nvidia GeForce RTX 2080 Ti, it’s possible to run the game at nearly 60 frames per second at a resolution of 2,560 x 1,440. It’s understandable not to initially be impressed that a 20-year-old game is struggling to hit 60 FPS on the latest hardware but as Schied highlights, the limiting factor of path tracing is not primarily ray tracing or geometric complexity. Instead, it’s the number of indirect light scattering computations and light sources that account for the high computational cost. As such, Schied said it’s plausible that the techniques used in Q2VKPT could be scaled to more recent games. Those interested in giving Q2VKPT a try can grab the necessary files over on GitHub.